Orange peel texture is a splatter texture that is sprayed onto walls and ceilings to give them a texture that is similar to an orange peel. There are actually quite a few different reasons as to why someone would want to spray an orange peel onto their walls or ceilings. But many people feel that spraying one is too complicated and it won’t look good. Actually, spraying an orange peel texture is incredibly easy, you just need the right tools, a little instruction and a bit of practice and anyone can get perfect results. 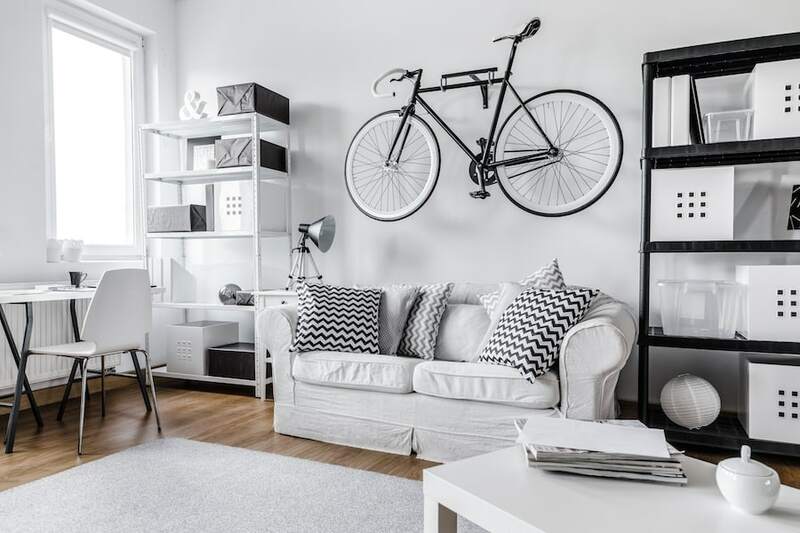 While many people today considered the look of textured walls to be dated, there are actually a few very real reasons you may want to spray and orange peel texture on your walls or ceilings. Orange peel walls are more durable than flat walls. Due to the texture, minor dings, dents and scrapes will not show up nearly as easily as on flat walls. This makes orange peel a very popular option for rental properties and commercial properties. 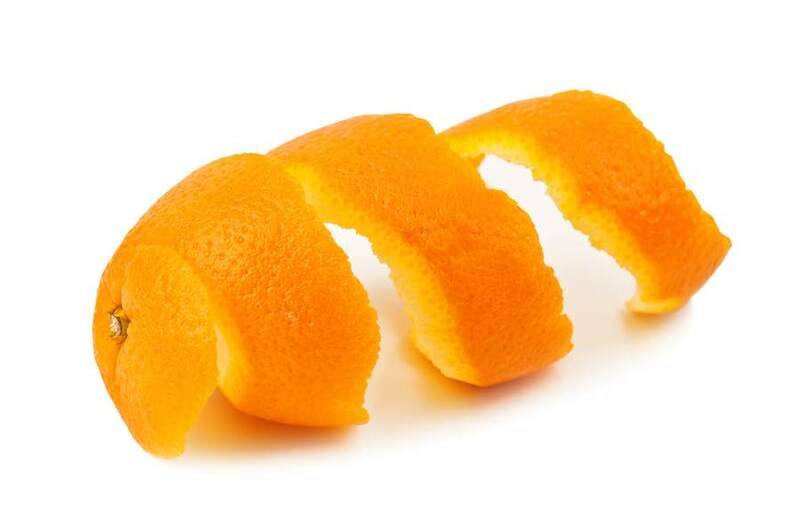 Orange peel hides existing flaws in walls and ceilings really well. 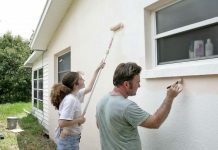 If you’ve purchased a home or rental property that is in rough shape, getting the walls smooth may be a very hard task. It can mean brand new sheetrock and lots of money. A quick orange peel texture on the other hand can make the walls look pretty good quickly and cheap. 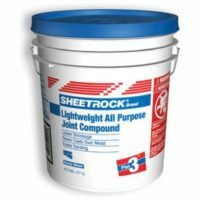 Plus 3 Drywall Mud – This is the mud you will mix up to spray onto the walls and/or ceiling. Drywall Mixer and Paddle – Ordinary drills are not geared to mix heavy material like drywall mud. A mixer and paddle are required. Wagner Power Tex Texture Sprayer – This is my favorite DIY texture sprayer. It does not require an air compressor. Painter’s Plastic – This is for prepping the room. Tape – This is for prep. Spraying a perfect orange peel texture is not a complicated process. It takes a steady hand, the right tools and a texture with the right consistency. The first thing you should be doing with any project is to prep the area that you are doing your work in. When spraying a splatter texture, you’ll want to remove all outlet covers and any and all furniture out of the room. Next, cover the light switches with a piece of tape and the lights with some tape and painter’s plastic. After everything is removed from the room and the outlets and lights are covered, you’ll want to block off the room from the rest of the home. This could mean as simple as closing the doors and taping up sheets of painters plastic to block off openings. Also, make sure to plug all vents and air returns in the room. You don’t want your dusty mess being sucked right into your furnace. An orange peel texture is made using basic drywall mud and mixing in water until the consistency is similar to pancake batter. Take a spare 5 gallon bucket and fill it about half way full with Plus 3 drywall mud. Next, take your mixing drill and paddle and start mixing the mud while slowly pouring in water slowly and mixing it in. Don’t pour too much water in at a time as you don’t want to have the mix get too runny. Once the mixture has reached the consistency of pancake batter, you’re good to go. Now that you’ve prepped the room and mixed up a perfect batch of mud to spray on your splatter texture, it’s time to get spraying! Start by filling your hopper with mud and putting on a dust mask, mud will get into the air while you’re working. Pro Tip: If you’re wondering about other options besides the Wagner Tex Spray, honestly, the only time I would recommend anyone not using this sprayer is if they already own an air compressor and a texture gun / hopper. And let’s be honest, if you already have those things, you’ve probably sprayed texture before and are not reading this. 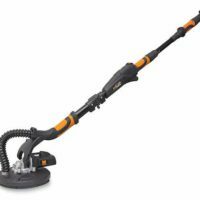 You can buy a Wagner Spray Tex at Amazon. Make sure that you are using the nozzle with the smallest hole on your Wagner Power Tex sprayer. The smaller hole will help create smaller droplets, which is what you want when spraying your splatter texture. When you start spraying you’ll want to position your gun roughly 3′ away from from the surface you are spraying. Once you pull the trigger and materials starts flowing, you don’t want to stop. Continue moving at an even space while overlapping roughly 50% on every pass. The main trick when spraying orange peel texture is to get some practice in and find a rhythm. 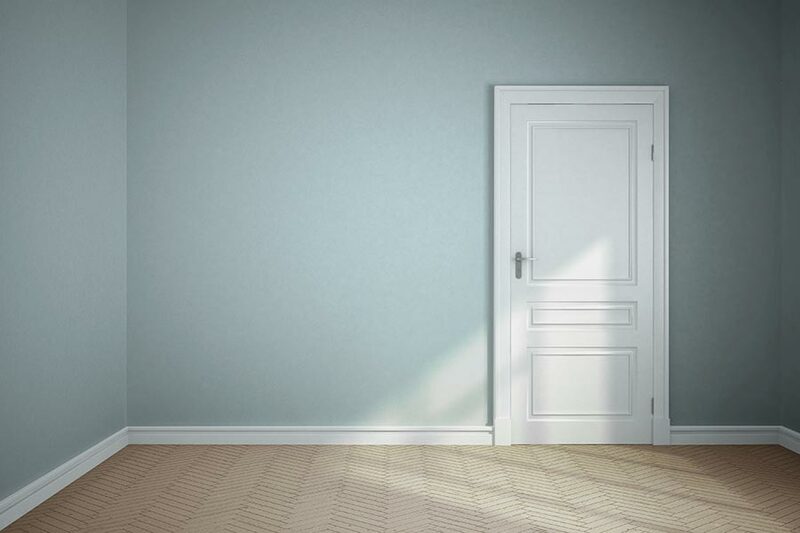 Once you start spraying a room, don’t stop until the room is completed. Practice Spraying on A Board or Extra Sheet Rock Before Moving Onto Your Walls. 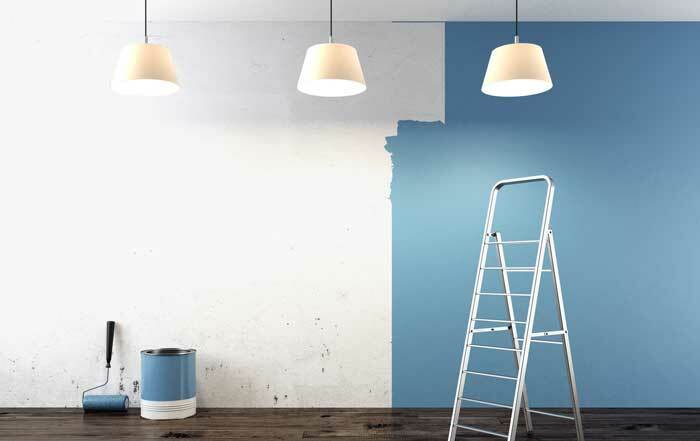 When you’re all ready to begin spraying, you don’t want your first bit of spray to be on your walls or ceiling, that’s just asking for a rough start. Now is the time you’ll want to set up your Wagner Tex Spray and get some practice in with your spraying technique. Grab your Wagner Tex Spray, your mixed texture, an extension cord and a scrap board (drywall, or anything). 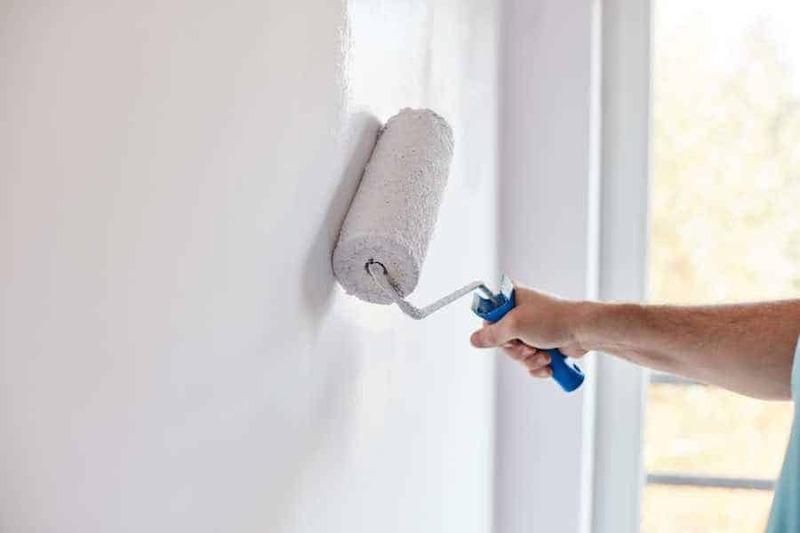 You can also do your practice spraying on your walls, but you will likely have to scrape them clean when you’re done if the texture doesn’t look good. Practice spraying your orange peel texture thick and thin, see which texture you like the best. Some people like it really thin where the texture doesn’t completely cover the wall. Other people (myself included) like the orange peel thick on the walls and no drywall board showing through. Now that you’re set up and you’ve had a bit of practice it’s time to spray your splatter texture. While you are spraying your texture, it’s a good idea to stop every 10 feet or so and check your texture. If it is looks uneven, or light, you should stop go back and re-spray over the area. This can also be done when you have completed a room. Even if your texture is dry, you can still go back over it and add more orange peel splatter. If you think that your texture is too thick and you’re not liking the look you have two options. First, if the texture is still wet, you can take a 9″ mud knife and easily scrape off the texture. If the texture has dried and you don’t like it, you will have to sand off the splatter and start over. Since there isn’t any paint covering the texture yet, it should still sand off quite easily. Now that you have finished spraying your orange peel texture, it’s cleanup time. Make sure to wash out your spayer and hopper before the mud has had time to dry and wash off any mud knives you used. Now is also the time to clean up the floor. Hopefully you covered your floor with drop clothes or your floor is concrete so you can scrape it clean. Painting over orange peel texture is not a complicated process. Cut lines take a little bit more patience but other than that, it’s a simple process. 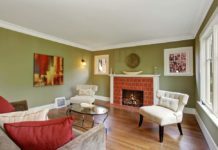 If you are painting ceilings, check out this article on how to paint popcorn ceilings (same process for orange peel ceilings). Cutting in your ceilings on a textured wall with your paint brush is a bit slower than brushing in cut lines on a flat wall. When cutting in ceilings on a textured wall, you need to slow down and shuffle the brush back and forth to work it into all the grooves and nooks. Check out our post Everything About Paint Brushes to help choose the right brush for the job. 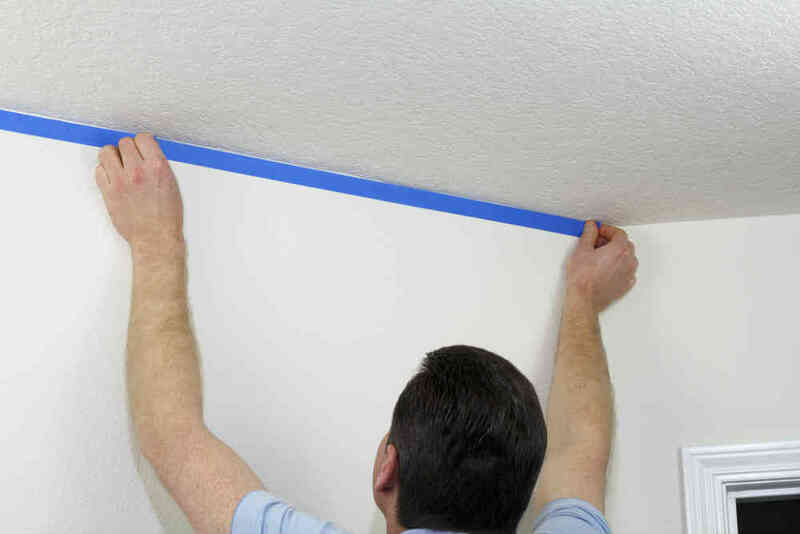 The only tip for rolling textured walls vs flat walls is that you should use a thicker nap roller. For most flat walls, a 3/8″ – 1/2″ nap roller will be perfect. When you’re painting textured walls, a 3/4″ nap roller is perfect. This extra padding will allow the roller to get into all the textured areas easily and keep you painting fast without slowing down. Removing splatter texture is something that many people are afraid of, but like everything else here, it actually isn’t that complicated with the right tools and some instruction. When you want to remove orange peel, you need to remember that under the paint it’s just drywall mud and drywall mud is easily sandable. You aren’t going to want to sand splatter by hand though, that would be a nightmare. Ideally, I strongly suggest you invest in an electric drywall sander. Drywall sanders are typically just over $100 and worth every penny. 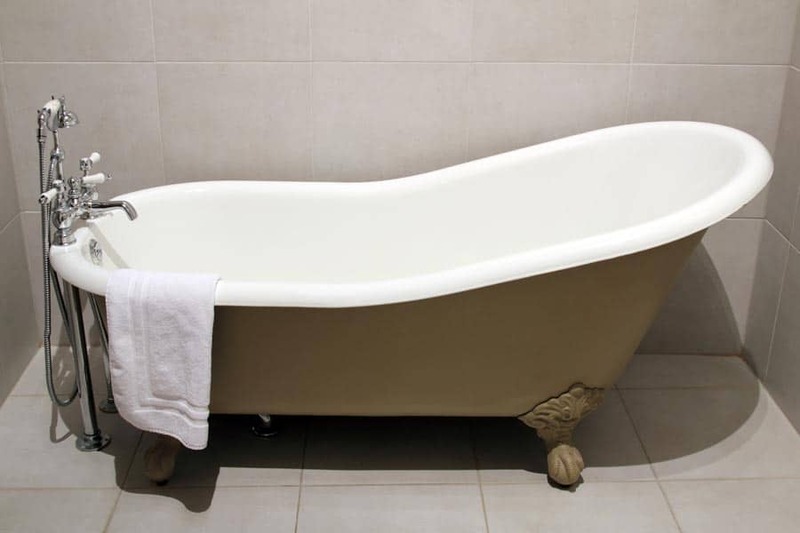 After your project, you can easily sell it on Craigslist or even go to your local Home Depot and rent one. I also recommend hooking the drywall sander up to a shop vac if you want to keep the area as dust free as possible. Grab the lowest grit sanding disc, either 60 grit or 80 and fire up the sander. A 60 grit disc can do some real damage to the wall, so make sure to continually move the sander around the wall. This should make quick work of the high points from the splatter texture. As with sanding any other surface, you’ll want to work your way up with your sanding discs from lowest number to the highest number. A quick pass with each sanding disc should be sufficient. If you want a really nice smooth wall, plan on going up to 180 grit or even 240. Once you’ve sanded all the walls and worked your way through the different discs, it’s time to inspect the wall for smoothness. There are three ways to do this, the basic eye test, the hand test and the light test. If the wall is still rather rough, you should be able to look over the walls and easily see this with your naked eye. If you don’t see much just looking, try running your hands along the wall as this will allow you to feel roughness in the wall that you may not be able to see. If you don’t feel any rough spots, you’re probably fine. But if you really want to make sure the wall is in good shape, shinning a lamp or work light across the wall will show all the imperfections in the wall. If the wall isn’t smooth enough for your liking yet, you’re going to want to skim coat the walls. Take some Plus 3 drywall mud and a 9″ mud knife and trowel a very thin coat of drywall mud onto your walls. Give it a couple of hours to dry and then give the wall another sanding. Usually a 180 or 240 grit disc will be perfect. Your walls should be smooth and ready for primer. Orange peel texture (also known as Splatter Texture), is useful to create durable walls and cover up imperfect walls, thus making it perfect for rental and commercial properties. Prep and prepare the area for work. Remove outlet covers off walls, plastic and tape off lights, remove furniture from the room, cover floors with drop cloths, cover vents and seal off the room. Mix drywall mud to the correct consistency. Fill a 5 gallon bucket half way up with Plus 3 drywall mud and mix with water using a mixing drill until mud has consistency of pancake batter. Thin, but not soupy. Practice spraying on scrape drywall, wood or inconspicuous area first. 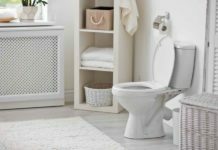 Get your spray technique figured out before starting on your room to be finished. Overlap spray by 50% on each pass and keep your texture nozzle roughly 3' from the wall or ceiling. Spray your walls with mud to create the desired orange peel texture. Start off by spraying a little thin as you can add more texture later to thicken up the look. Inspect texture before cleanup, re-spray thin areas. Cleanup all tools and materials before mud has dried for easiest cleanup. 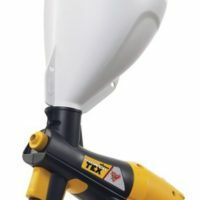 Any texture gun, hopper and air compressor can be used but I personally prefer the Wagner Spray Tex as it is an all in one unit meaning it does not need an air compressor attached. It has a built in air turbine and is perfect for the DIYer. My name is Ryan and I've been a professional painter since 2001. I started in production painting where I painted 5+ townhomes a day. In 2004 I started my own business and painted new construction, commercial and offered pre-finishing services. 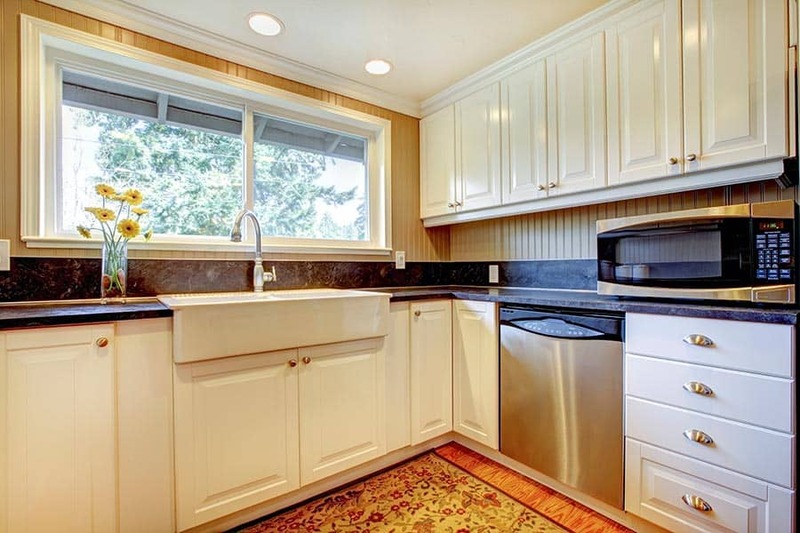 In 2012 I decided to niche down and offered cabinet refinishing services and furniture refinishing. Today I try to share all of the painting how-to knowledge I've learned as well as the painting business and marketing knowledge I can here on DIY Painting Tips. 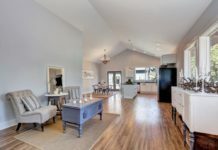 How Much Does It Cost To Paint A Ceiling? My name is Ryan and I've been a professional painter for the last 15+ years. DIY Painting Tips is me sharing everything I know. How to do everything I've learned, tips make things faster and complete your projects easier with results that look professional. © 2018 DIY Painting Tips - Crazy House Media, LLC.